From the friends that have supported you through thick and thin, to the group that you know you can rely on for non-stop fun, we that we wouldn’t get by without our squad. 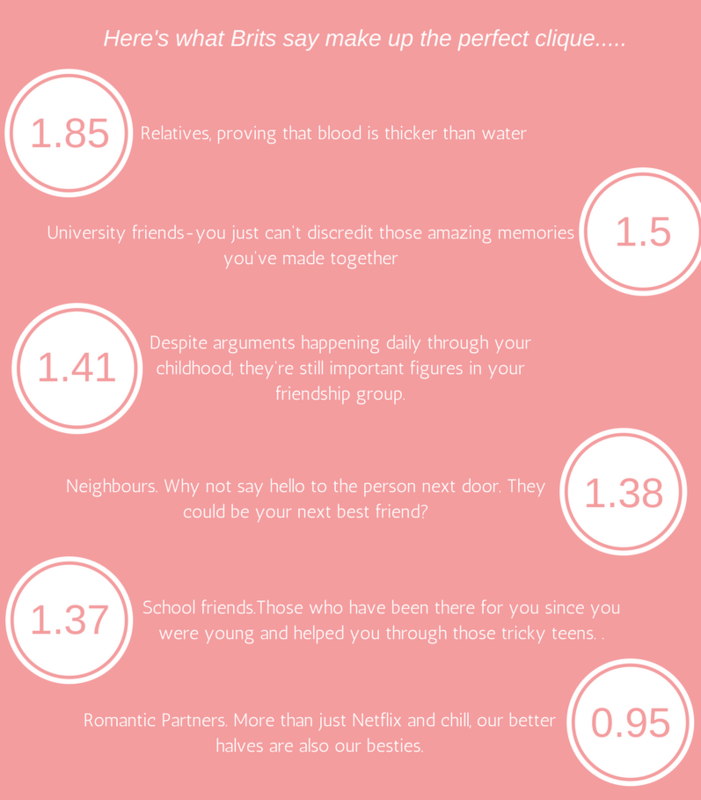 We surveyed over 1,000 adults in the UK to find out what they view as the ultimate friendship group. Interestingly, 20% of respondents voted the cast of the popular TV series ‘Friends’, as the most aspirational friendship group. What’s more, 28% of 16-28 year olds – some of whom weren’t even born while the show was filming – voted Central Perk’s regulars as the most inspiring group of friends. 1) Friends: Rachel Green, Monica Geller, Phoebe Buffay, Chandler Bing, Ross Geller & Joey Tribbiani. 2) Harry Potter: Harry Potter, Ron Weasley & Hermione Granger. 3) The Big Bang Theory: Leonard Hofstadter, Sheldon Cooper, Penny Hofstadter, Howard Wolowitz & Raj Koothrappali. 4) Cold Feet: David Marsden, Karen Marsden, Adam Williams, Rachel Bradley, Pete Gifford & Jenny Gifford. 5) How I Met Your Mother: Ted Mosby, Barney Stinson, Robin Scherbatsky, Marshall Eriksen & Lily Aldrin. Celebrate your favourite friendship by posting a photo of you and a friend or your squad with #SquadGoals and tagging @One4allUK on Facebook or @One4allGiftUK on Twitter.